We have weathered the snow storms and bundled up through the freezing temperatures, and now spring is just around the corner. While winter can be grey, spring offers a new beginning. Why not start this spring off as your best self? As the days grow more green and bright, we have three tips to help you feel your best this season. As spring approaches, we’ll see more daylight and more sunshine. Vitamin-D, which comes from the sun, can boost your mood and energy levels. This spring, take advantage of the warmer weather and catch some rays. You can also increase your Vitamin-D intake by using light therapy or taking supplements. Exercising relieves stress and increases energy. While working out and staying active may be easier said than done some days, start off by setting small goals. Take the stairs instead of riding the escalator. Go for a ten-minute walk on your lunch break. These small initiatives will contribute to your physical and mental well-being. It’s easy to turn to comfort foods when you’re feeling under the weather. While it’s okay to treat yourself, it’s also important to ensure your diet is filled with foods that make you feel good. Make sure to include a lot of fruits and veggies in your diet to keep your spirits up. Some research suggests that foods rich in omega-3 fatty acids, such as fish and eggs, may also help to boost your mood. Even when we have great mental health, we can still experience hard days. It’s important to remember to recognize how we are feeling and ask for help when it’s needed. If you’re in need of support, you can find help here. Hosted by The Paisley Notebook Collaboration, On Friday, March 8th, International Women’s Day is being marked with a special 5-course fundraising dinner at The Canadian Mental Health Association’s ‘Wellness Centre’. 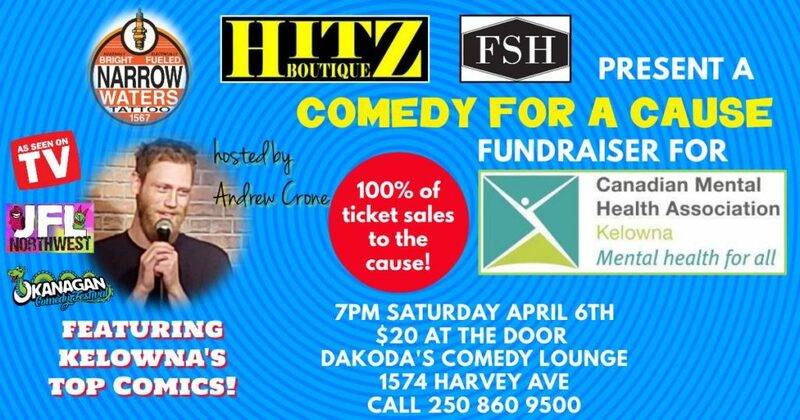 All profits from third annual dinner will be donated to The Canadian Mental Health Association Kelowna, Foundry Kelowna, Karis Support Society and Slow Food Canada. Each Chef will take on a course with the 2019 International Women’s Day #BalanceForBetter theme in mind. This isn’t just a dinner, it changes lives. And this year, the dinner is hosted where part of the proceeds have been directed. This event features a set menu and silent auction. Unfortunately due to the number of out-of-province Chefs on this line-up, allergies and special dietary needs may not be accommodated. Please contact aman@paisleynotebook.com before purchasing tickets.